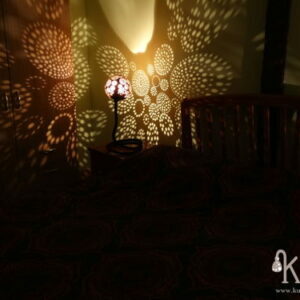 Ambient floor lamp.Rustic hand-carved lamp. 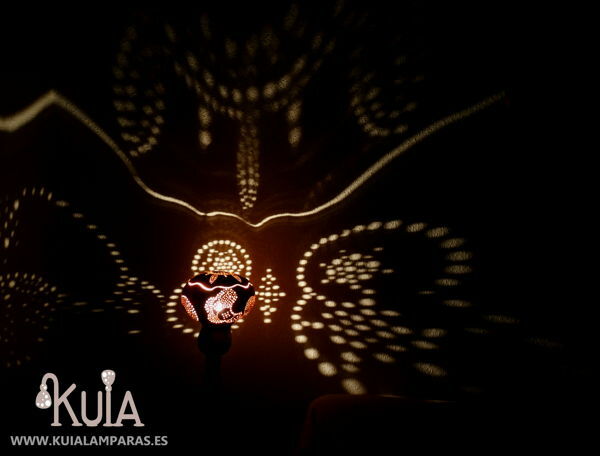 The lampshade is made of pumpkin, with a design thought to achieve lighting effects that are wonderful in any room. 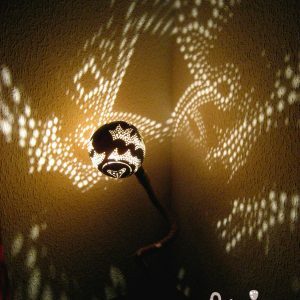 It has a wooden base, from which comes a black metal tube towards the lampshade made of pumpkin. 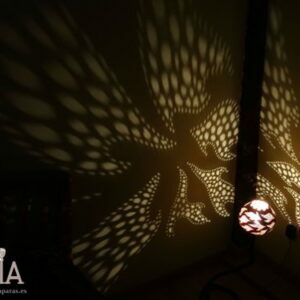 This living room lamp is designed to decorate the space with an effect of shadows and lights that will shape the drawings of the lampshade on the wall. 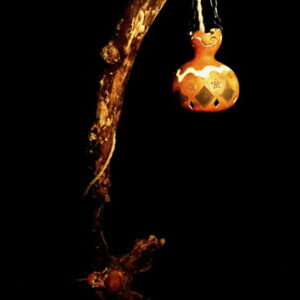 The gourd is natural, has not been painted, so it takes on a rustic and natural look, which will fit nicely with the wooden furniture.